Three ballads. 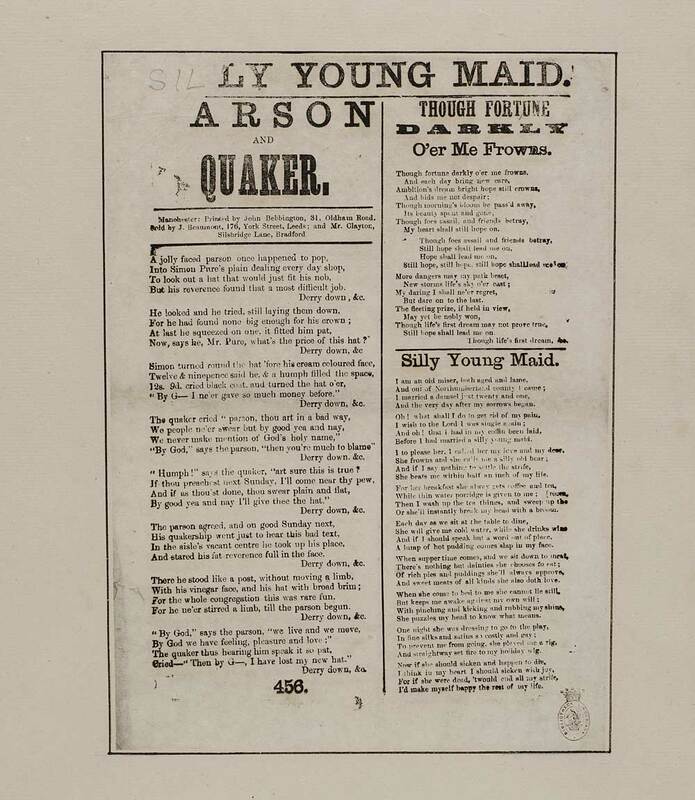 [P]arson and Quaker - first line reads: A jolly faced parson once happened to pop. Though fortune darkly o'er me frowns - first line reads: Though fortune darkly o'er me frowns. Silly young maid - first line first line reads: I am an old miser, both aged and lame.